In the second performance of his year-long Van Lier Fellowship, composer and bassist Nick Dunston premieres La Operación, a multi-movement composition written for soprano voice, two alto saxophones, two double basses, and two percussionists. Inspired by the 1982 documentary of the same name by Ana María García, La Operación is an abstract interpretation of a historical phenomenon involving colorism in Puerto Rico, eugenics, medical malpractice, second-wave feminism, and American colonialism. Nick Dunston is a Brooklyn-based composer, bassist, and scholar. His performances have spanned a variety of venues and festivals across countries in North America and Europe. 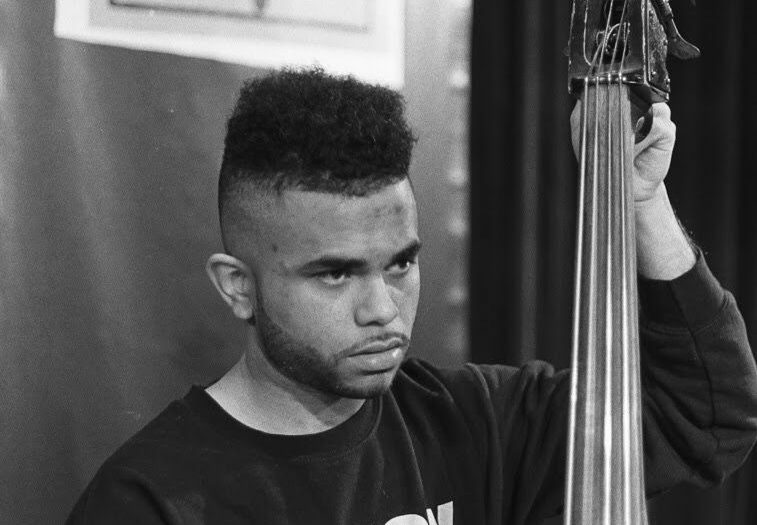 While not tethered to any one community, his work often finds itself in between the spaces of jazz, Black American music, 20th and 21st century western classical music, experimental music, No wave, and in many cases, cross-disciplinary collaborations. 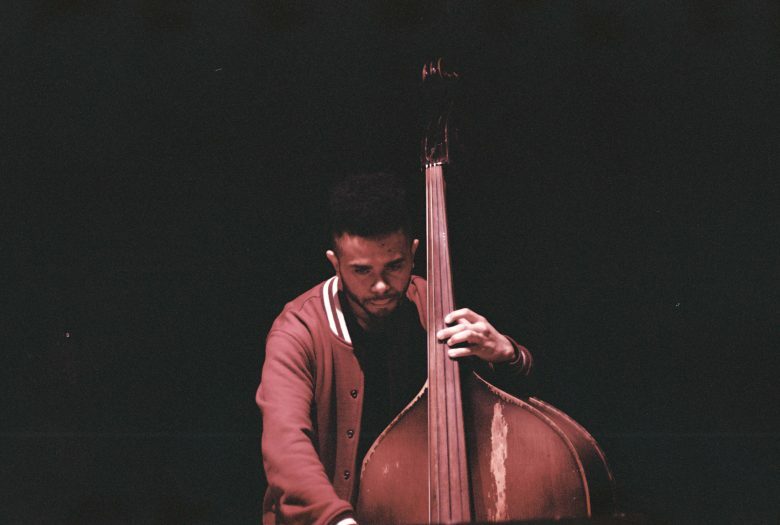 He’s performed and toured professionally with ensembles led by artists such as Tyshawn Sorey, Vijay Iyer, Marc Ribot, Ches Smith, Imani Uzuri, Anthony Coleman, Amirtha Kidambi, Dave Douglas, Matt Wilson, Allison Miller, Jeff Lederer, Jeff “Tain” Watts, and Darius Jones. As a composer, he’s written for and collaborated for a wide range of artists, from solo instrumentalists, to his own bands, to chamber orchestras, to performance artists. He’s been commissioned by entities such as the New York Public Library of Performing Arts, the Joffrey Ballet School, The Witches, violist Joanna Mattrey, the ESMAE Jazz and Chamber Orchestras, and more. He was awarded the Van Lier Fellowship for 2019 by Roulette Intermedium. As a writer, he’s contributed monthly to Hot House jazz magazine since 2016. Stephanie Lamprea is an vocalist, improviser and curator based in New York and Boston. A specialist of contemporary classical and experimental music, she devours mammoth works of virtuosity and extended technique with ease and creative insight. She was awarded 2nd place in the international John Cage Awards, sponsored by the John Cage Orgel Stiftung in Halberstadt, Germany, and she received an artist grant from the Puffin Foundation. Works of note she has performed include Kate Soper’s IPSA DIXIT, Georges Aperghis’ Recitations for solo voice, Schoenberg’s Pierrot Lunaire, Luciano Berio’s Folk Songs, and Shostakovich’s Seven Verses of Alexander Blok. She has performed as a solo and chamber musician at National Sawdust, Shapeshifter Lab, the Isabella Stewart Gardner Museum, Miller Theater at Columbia University, the Slipper Room, and Park Avenue Armory. Noah Becker is a nationally and internationally touring alto saxophonist, clarinetist and composer. He leads his own quartet Underthought, and co-leads folk-jazz trio Retumbra and chamber-jazz trio Feral Children, with each group’s repertoire featuring a vast array of his original music. His recent projects include Castle Garden, a research commission from the New York Public Library, for which he composed music about the modern-day relevance of the Jewish immigrant experience in New York, premiered at Lincoln Center in December; and the 2018 premiere of TRUMP: An Unspoken Truth, a solo work for saxophone, clarinet, and electronics that explores and reimagines the evil words of Donald Trump to present a greater truth. Noah grew up in Philadelphia, where he was exposed to various improvised, classical, and traditional Jewish musics from a young age. His work operates at the nexus of these influences, and is concerned with how music shapes and alters our experience of the passage of time, engaging the audience as co-creators of artistic experience. 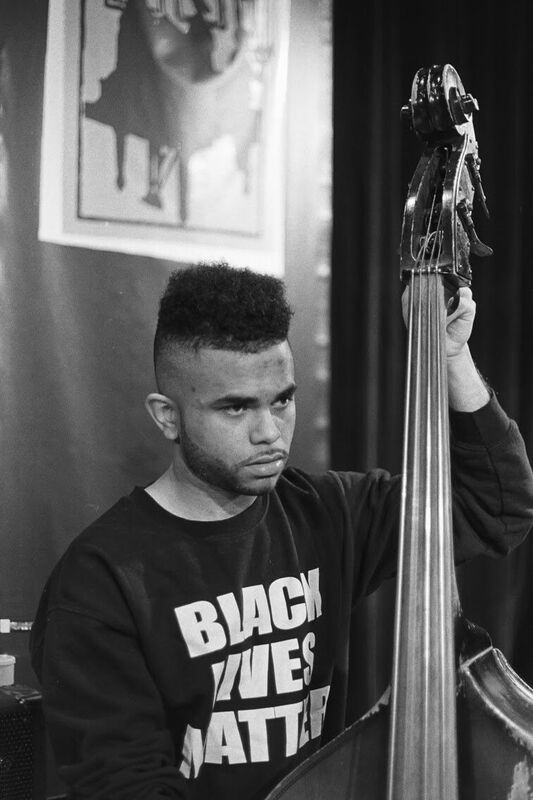 Bassist Ben Rolston was born and raised in Ann Arbor, Michigan. He’s followed in the footsteps of many other young Ann Arbor musicians, gaining a love of jazz at Community High School (under the direction of Mike Grace), honing his musical skills and taste with world class saxophonist Vincent York, and then attending the University of Michigan Jazz Studies Program in order to absorb the teachings of master musicians such as Robert Hurst. A few of the other teachers that have been very important to his growth as a musician are Kurt Krahnke, Sean Dobbins, Diana Gannett, Geri Allen, Ellen Rowe and Andrew Bishop. After living and making music in Detroit for around 5 years, he made the move to New York City in the Fall of 2018. Some of the wonderful musicians he’s shared the bandstand with are Marcus Belgrave, Tim Ries, Sean Dobbins, Vincent York, Tad Weed, Ellen Rowe, Dwight Adams, Thaddeus Dixon, Vincent Chandler, Christian Howes, and Laurence Hobgood. Lesley Mok is a Brooklyn-based drummer and composer. Her work is influenced by a vast range of music, including jazz, classical contemporary music, and American experimental music. She has performed in venues in the U.S. and abroad, including Mezzrow Jazz Club, TedxSanDiego, the Ringling Museum of Art, the Dominican Republic Jazz Festival, and the Panama Jazz Festival. As a composer, Lesley has written music for ensembles of varied sizes from duos to octets with strings and non- Western instruments. She currently leads The Living Collection, a contemporary ensemble that exclusively performs her original music. Lesley received her undergraduate and master’s degree at Berklee College of Music. During her time there, she was a member of the Berklee Global Jazz Institute, an intensive honors program where she studied with Danilo Pérez, Terri Lyne Carrington, John Patitucci, Joe Lovano, Ben Street, and Adam Cruz. Stephen Boegehold is a drummer and composer based in New York City. In addition to leading his quartet, Ganglion, he has self-released three albums: “A Telling of Death” (2016), “Shared Realities” (2017), and “Way of Dreams” (2017). Invested in a career centered around collaboration, he maintains an active performance schedule with ensembles such as Nick Dunston’s Atlantic Extraction and the David Leon trio. As a founding member of Polyfold Musical Arts Collective, Stephen also works to build musical community through collaborative concerts and workshops. He has shared the stage at home and abroad with musicians such as Kris Davis, Michael Attias, Francois Moutin, and Laurence Hobgood.